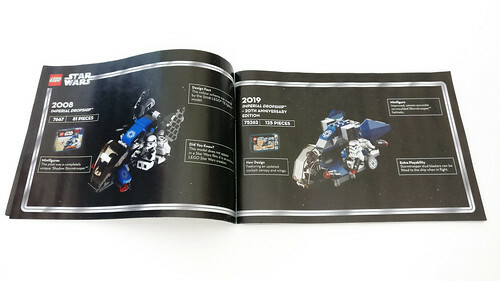 Like with the other 20th Anniversary Edition sets, the front of the instructions does a comparision of the net Imperial Dropship to the original one. 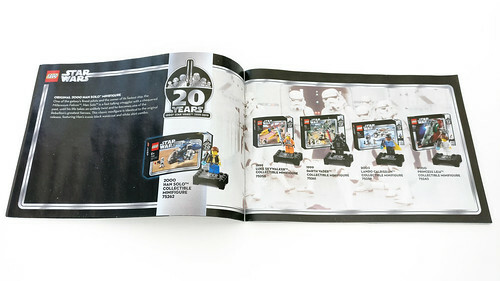 Also, the booklet also talks about the exclusive Han Solo minifigure which is included in this set with a short blurb. 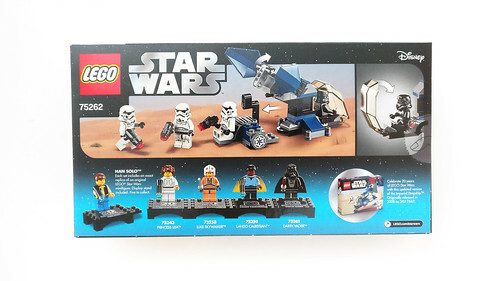 The set includes three Stormtroopers, a Shadow Trooper, and the exclusive 20th Anniversary Han Solo. 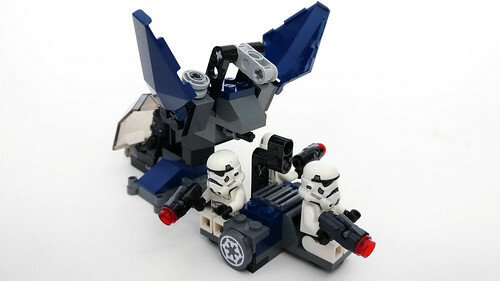 The Stormtroopers have had a number of design changes and for this year, there’s yet another slight change from previous versions. The torso and legs are the same from before but the helmet that they use are brand new for this year. 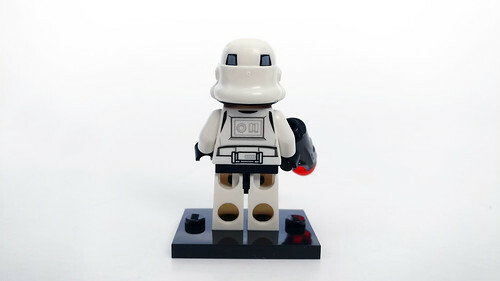 There’s a bit more detail on it but you can not turn it like with some of the older Stormtrooper helmets. 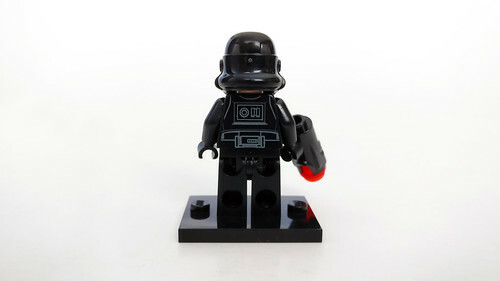 Underneath the hemlmet is the same clone head that’s been used for years. They have stud shooters as accessories. 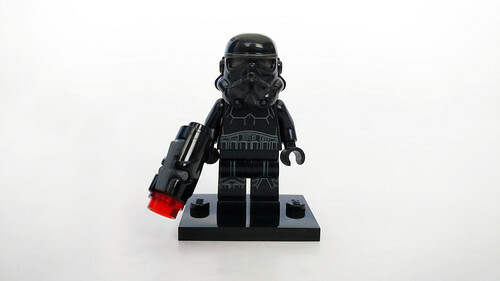 The Shadow Trooper looks identical to the Stormtroopers except for the black color scheme with some metallic silver. 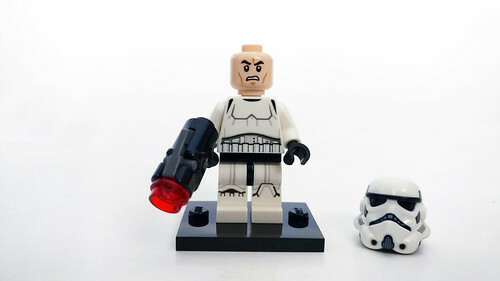 Like with the Stormtroopers, he also has a clone head and the stud shooter as an accessory. 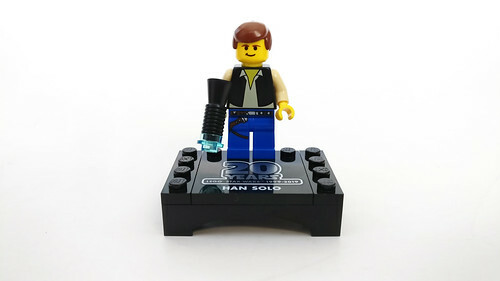 Finally we have the Han Solo from the 2000 version Millennium Falcon (7190). He has been slightly updated with a different shade of color for his hair. The torso is the similar outfit as before but the back has the 20th Anniversary logo in metallic silver. 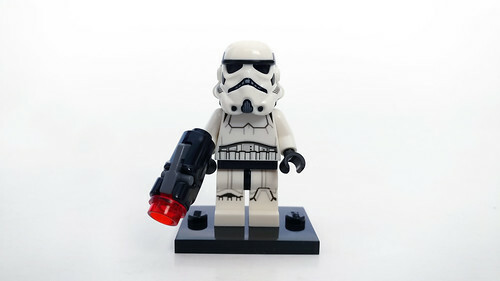 His accessory is a blaster that is made up of a microphone with a trans-light blue 1×1 round plate. 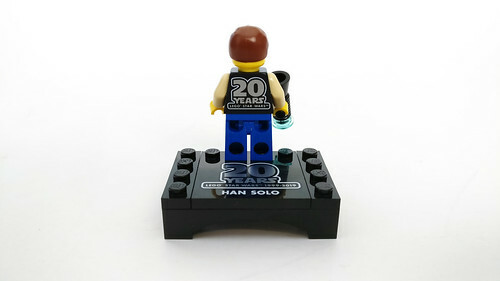 Also included with Han is a black display base that also has a printed 20th Anniversary logo along with his name. 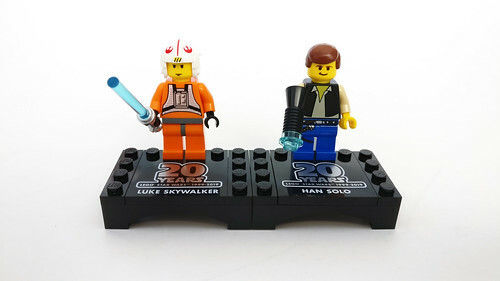 LEGO has included a 2×4 plate to connect with the other 20th Anniversary minifigures in this wave. 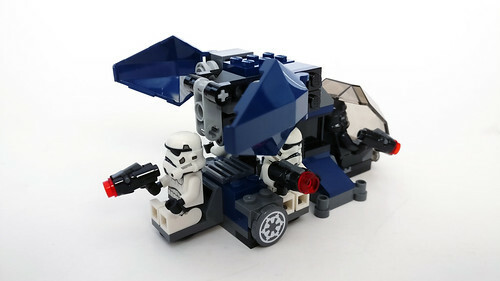 The Imperial Dropship is an original design and hasn’t appeared in any movies but it does have some inspiration from some of the vehicles from the saga. 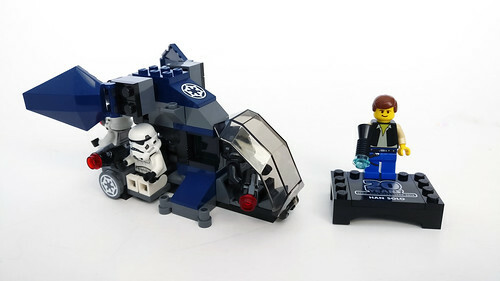 There are a few stickers of the Imperial logo that are one the top and sides of the Dropship. 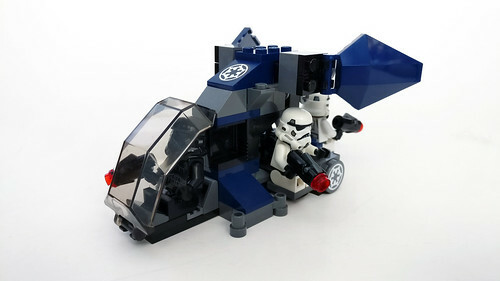 Even though it is fairly small, it does have enough seating for four, the Shadow Trooper in the cockpit and the three Stormtroopers on the platform. The engines are on a hinge and are able to flip up which also acts as an anchor to keep the back platform in place. By lifting it up, you can easily detach it since it uses only a Technic pin that goes into the beam. 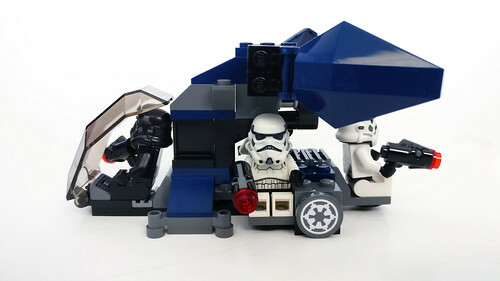 Even though the LEGO Star Wars Imperial Dropship – 20th Anniversary Edition (75262) isn’t considered a “Battle Pack,” I would certainly define it as one. 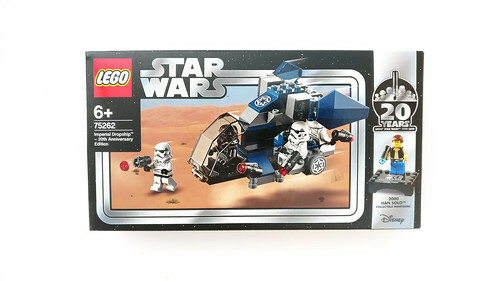 This is currently the cheapest way to load up on the slightly updated Stormtroopers as well as the Shadow Trooper and the Dropship itself. 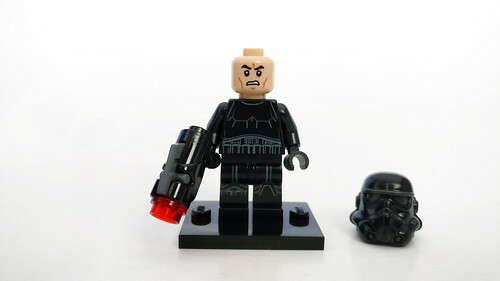 The exclusive Han Solo minifigure is an added bonus to this Battle Pack. 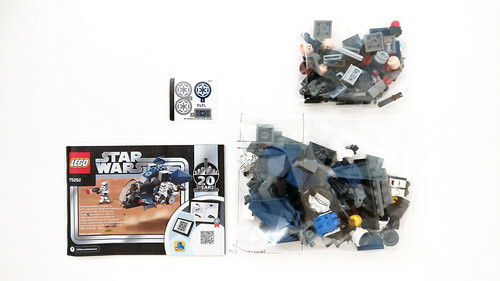 If you are using this set to build up your army, I would suggest that you wait for a discount first.